Garrett Palmer sits before the judge, confident the prosecutor has no hard evidence to lock him up. He is dedicated to his organization, the Atlanta Crime Network, so the possibility of prison time is a fair price to pay to maintain its clean reputation. As adopted son of a network patriarch, Garrett takes the organization’s creed -- to never turn your back on the “family” -- very seriously. But then Simona, Garrett’s wife who was killed as a result of a forgotten rivalry, takes the witness stand. 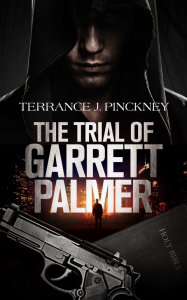 Suddenly, Garrett realizes this is no ordinary trial -- this is a trial of life and death, and the judge’s decision will mean much more than hard time in prison. 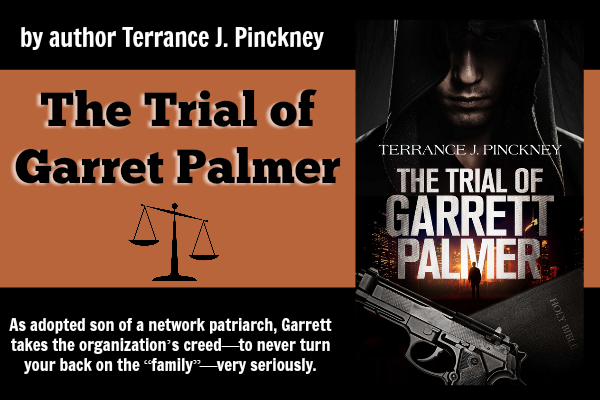 Garrett’s belief that family is worth more than anything is shaken to the core, and by the end of his trial, he’ll realize that there is a force higher than family bonds to be reckoned with. Terrance J. Pinckney was born on July 25 in The Bronx, New York. After graduating high school, he and his family moved to Atlanta, GA, where he currently resides. 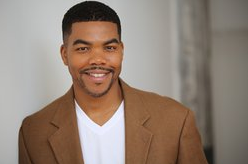 Terrance holds an MBA from the New York Institute of Technology and is currently enrolled in Seminary School at Luther Rice College. After spending over a decade in Corporate America, Terrance decided to pursue his literary passion after being laid off. Having published his second book along with his recent enrollment into Seminary, Terrance seeks to write stories that have a spiritual message, which he hopes to share with readers. In the months to come, Terrance's next release will be the first book of a trilogy that he believes will present a new take on spiritual fiction/adventure.